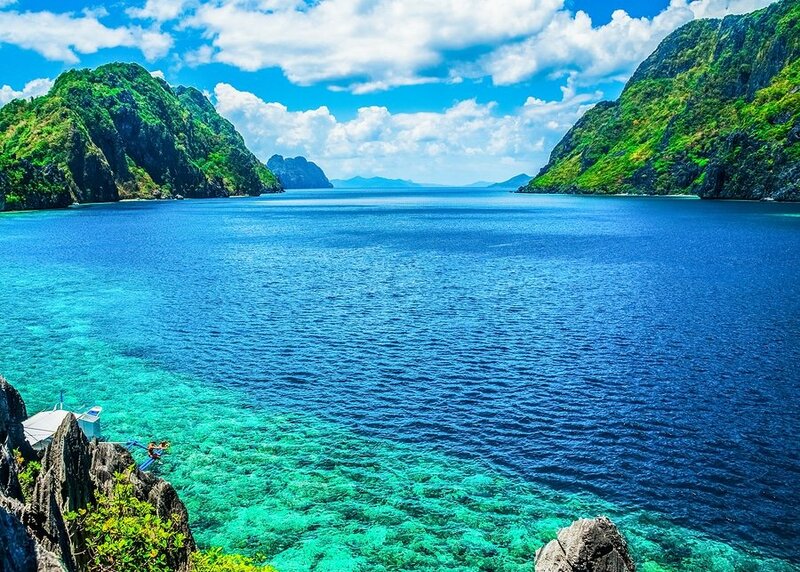 Renowned for its many splendid beaches and stunning natural attractions, the Philippines is an archipelago which lies in Southeast Asia, comprising 7,107 islands. For over three hundred years, the Philippines were a Spanish colony, but were ceded by the United States after the Spanish-American War in 1898. After the U.S. victory i n World War II, the Philippines gained independence in 1946. Headed to the Philippines? Our 10-day suggested itinerary highlights the charms of the capital, Manila, as well as other off-the-beaten destinations in Samar and Leyte. 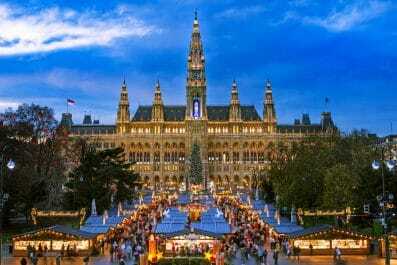 You can certainly use this tour suggestion to tailor your own needs and interests. 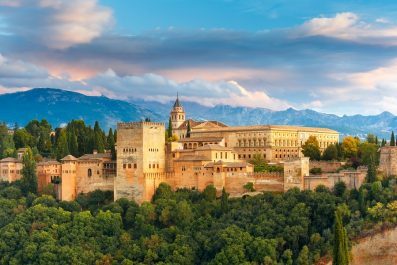 You may also add this to your existing itinerary if you plan to stay longer. Enjoy the Philippines! Mabuhay! 1. Language – The national language was labeled Filipino to acknowledge and embrace the existence of many English and Spanish-derived words. Foreign tourists might be confused with Filipino language as Tagalog is also widely spoken in most parts of Luzon. Filipino language is basically Tagalog with inclusions of languages other than Tagalog. Communicating is relatively easy as most Filipinos, especially in urban areas, can speak a decent level of English. 2.Social norms and etiquette – Being a Spanish Colony for over three hundred years and being under the United States for 50 years, foreign values have been adapted by Filipinos in their own peculiar fashion. For a foreign traveler, it is important to know that Filipinos, like most Asians, stress public harmony and overt conviviality. Any indication of conflict is readily buried and confrontation is frowned upon. Filipinos are extremely tolerant people, and are generally happy, generous and gregarious. 3.Money and costs – The official currency of the Philippines is the Peso (₱). Exchanging money in the Philippines is easy and follows the same standard to elsewhere in Asia. The Philippines is well serviced by a mixture of local and international banks offering widespread ATMs and online services. International credit cards, such as Visa, MasterCard and American Express, are widely accepted at big establishments. Make sure to bring Philippine Peso if you are travelling to rural or remote areas (very important!). The Philippines has a non-tipping culture. Upscale restaurants hotels and may add a service charge (usually 10%) to bills . This is usually made clear on the bottom of the menus or incorporated into quoted hotel room rates. In mid- to low-range restaurants, tipping is not expected but keep in mind that reward for good service is always appreciated and a small tip may be well worth it – to get info about places to visit, etc. Tricycle taxi drivers do not expect a tip but if you are staying in the area for extended period of time you may consider small tips that will guarantee you a V.I.P treatment. 4.Getting Around – Getting around Manila and taking public transportation might be a shocking experience to foreign visitors. Transportation options include Light Rail Transit (LRT), Manila Metro Rail Transit (MRT), cab, bus, jeepneys and tricycle. If you are commuting during rush hours (7:00 AM to 10:00 AM and 5:00 PM to 8:00 PM), taking the LRT or MRT is not a good idea. If you are travelling for short distances, jeepneys are your best bet! Just say the word “para” if you want the driver to stop so you could alight to your destination. If you prefer to take a cab, take note of some reputable taxi companies such as MGE Transport, Basic Taxi, EMP, Dollar Taxi and Sturdy Taxi. Uber is a great alternative to taxis that is becoming extremely popular in Manila. 5.Where to Stay – Manila has a wide range of accommodation options, with something for every level of comfort and budget. Budget hotels, bed and breakfasts, apartment and condo rentals, youth hostels and guesthouses are aplenty in the capital. Ermita or Malate District is a great choice where the best and exciting nightlife can be found. It is also a great base for exploring the best attractions of Manila. Bonifacio Global City and Makati are among the trendiest of places. In Samar, Catarman and Catbalogan City provide easier access to tourist attractions. In Leyte, Tacloban City, the largest city in the Eastern Visayas region, is a good base where you can find plenty of accommodation options. Assuming you had to cross an ocean to get to Manila, your first day will be rife with jet lag. Take a flight that arrives in Manila as early as possible and check in to your preferred hotel/hostel. To walk off your jet lag, hit the nearest cafe or restaurant in Malate or Ermita. Sit at a table, people watch or read a book. 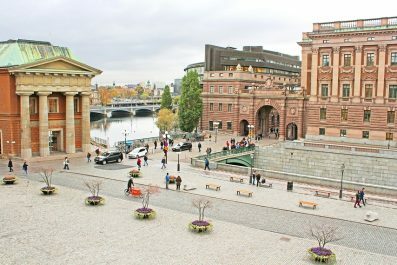 You may also go back to your hotel so you can rest a little bit before your walking tour in the afternoon. To get a quick introduction to the country, head to Ayala Museum (Dela Rosa Street, Makati, Kalakhang Maynila, Philippines; tel :+63 2 757 3000) and join their guided tour. Basic admission covers Ground to Third Floor galleries, while full admission covers admission until the Fourth Floor galleries, which include pre-colonial gold and other special artefacts (basic admission costs 350 PHP while full admission costs 425 PHP , which is about 7.50 USD and 9 USD). Joining the guided tour requires reservation at least 3 days before the intended visit and the easiest way to abtaine one is to email the museum at tours@ayalamuseum.org . After your historic tour of the Ayala Museum, head to Binondo (Manila’s Chinatown) for a gastronomic adventure. 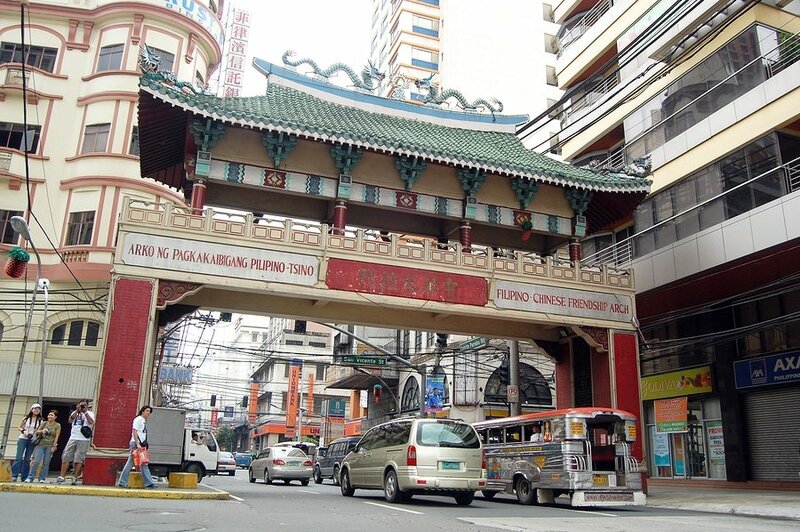 Did you know that the oldest Chinatown in the world is in the Philippines? Aside from the historic places you will see in Binondo, you can also get loads of cheap goods from stores selling different variety of Chinese products ranging from fruits to lucky charms. 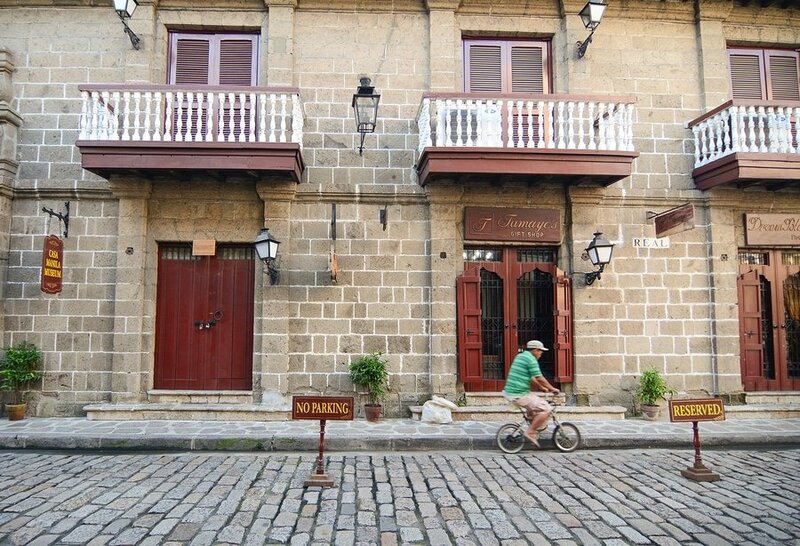 On day 2, walk around Manila’s ancient walled city of Intramuros. You may join Carlos Celdran’s Walk this Way tours of Intramuros (http://celdrantours.blogspot.com/; email: celdrantours@hotmail.com). Tour fee is 1100 PHP (less than 25 USD). You may also try Bambike Ecotours of Intramuros where visitors will be riding through the streets on bamboo bikes that have been handmade by Gawad Kalinga villagers in the Philippines. Ecotours costs 1,200 PHP (26 USD) inclusive of bike and helmet rental, bottle of water and entrance fees (email: info@bambike.com). Colonial building in Intramuros district oldest district and historic core of Manila known as the Walled City. On your third day, gain an in-depth insight into World War II by joining a guided tour of Corregidor Island, where battles between the Japanese and the United States took place. Tours to Corregidor normally includes transportation to the island, buffet lunch and local tour guide fee (check current prices and departing times at Sun Cruises’s website). Corregidor Island is an island located in Southwestern part of Luzon. During the time of the Americans, the island used to be a military fortification to protect Manila Bay. One of the highlights of the island is Malinta Tunnel, a bomb-proof storage facility with hundreds of lateral tunnels branching out on each of its sides. It served as the Headquarters of Gen. Douglas MacArthur and the USAFFE during the battle of Corregidor in 1942. The Philippines’ main international airport in Manila is plagued by congestion, thus getting the earliest flight possible to Tacloban City is recommended (one-way ticket from Manila to Tacloban starts at about 19 USD with AirAsia Zest and the flight takes about an hour and 15 minutes). The city is probably known by foreign visitors because it was severely damaged by super typhoon Haiyan on November 8, 2013. You might think it would be a very depressing visit, but you will be surprised that Taclobanons were already starting to live a normal life. Tacloban City and other parts of Leyte are rising again after the nightmares brought by Typhoon Haiyan. Leyte is definitely a must see and tourism in the province today is more important than ever. If you happen to visit in June, you can enjoy Tacloban’s festivals – the Sangyaw Festival and the Pintados-Kasadyaan Festival of Festivals. On your first day in Tacloban City, visit some of the famous attractions such as the San Juanico Bridge, the longest bridge in the Philippines that connects the islands of Leyte and Samar. You can also visit the Sto. Nino Shrine and Heritage Museum as well as the MacArthur Landing Memorial Park in the nearby town of Palo. On day 5, beat the heat and go on an overnight trip to Kalanggaman Island, situated off the coast of Palompon, Eastern Leyte. The island is secluded and not spoiled by commercialism that’s why you won’t find any fancy hotels or restaurants. If you are staying overnight, do not forget to pack your camping essentials, food and drinks that will last until the next day. There are picnic tables and barbecue areas in the island. If you are lucky to find a local fisherman, then you can buy some fresh catch for grilling. Definitely an amazing island experience! Visits and overnight stays in the island are strictly being controlled by the local government so you have to make reservation ahead of time. Call Palompon EcoTours Office at +63-917-3037267 to check how they can help you to visit the island. International tourists have to pay 500 PHP (10.50 USD) for day tours and 750 PHP (15.50 USD) for overnight stays. On your sixth day, go on another island adventure in Sambawan Island (there is an entrance fee of 100 PHP per person, which a little bit over 2 USD). The island may not have the finest beach sand, but it has a wild serene beauty. Despite its proximity to Biliran, it still maintains its unspoiled atmosphere. The island used to belong geographically to the province of Leyte but on May 11, 1992, it became an independent province. Getting there is not easy but it is definitely worth it. From Tacloban City, you can charter a van for about 3,000 – 4,000 PHP (63-85 USD) for a round-trip to Naval or to Kawayan town. Or you can go to the Tacloban terminal and ride a public van that would take you to Naval. Travel time is approximately three hours and fare is 250 PHP (5.30 USD) . Similar to Kalanggaman Island, you won’t find any restaurants or bars here so you have to pack food and drinks. There are cottages, however, which you can rent for the night for about 2,500 PHP (105 USD) . Biri Island is a small island situated in Northern Samar and is blessed with many natural attractions like the Biri Rock Formations. There are seven rock formations that you can see in the island: Magasang, Macadlaw, Puhunan, Pinanahawan, Bel-at, Magsapad and Caranas. Currently, there are two jump off point to Biri Island: Matnog in Sorsogon and Lavezares Town in Northern Samar. If you are coming from Tacloban City, you will take the latter. From Tacloban terminal, ride a van (D’ Turbanada or Grand Tours Van) to Catarman. Estimated travel time is 5-6 hours and fare is 350 PHP (7.50 USD). From Catarman, take a jeepney to Lavezares Town (50 PHP or about 1 USD). From there, go to the port where you can catch the passenger boats going to Biri Island. If you missed the passenger boat, which are available from 7:00 AM to 11:00 AM, then you can charter a boat that will cost you 300 PHP (6 USD… basicly the price of a venti Vanilla Latte at Starbucks). Once you reach the poblacion (town centre), you can check in at one of the lodges or home stays. Spend at least two full days in Biri Island so that you will see all the major rock formations. If you’re into diving, you can definitely stay longer as Biri has some of the finest snorkelling and scuba diving sites. You can also explore the island, shop in the market and cook your own food. If you are staying in a resort though, you may ask the staff to cook it for you. Cooking requests normally costs PHP 50 but you can definitely give them additional fee if it’s not too much. 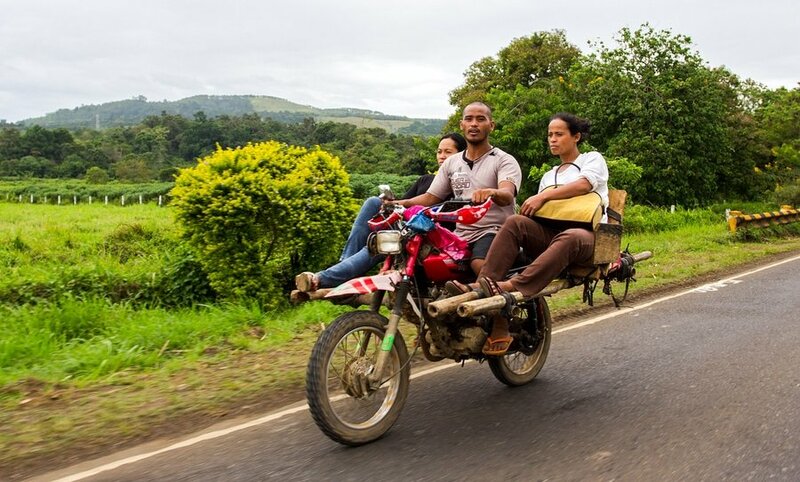 Hire a Habal-Habal (motorcycle taxi), the only mode of transportation in the island, and explore the rock formations. Tour rates are standardized – 200 PHP (4 USD) for 8 hours, maximum of 3 passengers. Do not forget to pay the Tourism Fee ( 50 PHP) at the Tourism Center before you go on your tour. Also, do not forget to pack water and food as there are no stores nearby. On your last day, start early and travel back to Catarman, where the nearest airport from Biri Island is located (Philippine Airline operates a non-stop flight that leaves at 6.55 am and the price of a one-way ticket for the 1:15h trip is about 85 USD) . If your international flight back home is in the late evening, you can still squeeze in some time for shopping in Manila. For a wide range and reasonably priced locally made handicrafts, head to The Manila Collectible Company in Intramuros. Kultura in all SM Shopping Malls is also a good place for souvenir hunt. For souvenir t-shirts, try Island Souvenirs in NAIA Terminal 3 or Team Manila Lifestyle in many shopping malls. This is the end of our 10-day itinerary for the Philippines. Remember, this is just a guide for planning and is in no way, shape or form the only way to travel the country. There are several alternative routes of travel within the country and it will depend on your intended length of stay. Enjoy the Philippines! Have you been to the Philippines? Do you have any tips or suggestions to share? If so, you can leave your comments below.